Long before blockchain, inter-bank communication platform Swift was working to modernize the way financial institutions do business. First published in 2004, Swift’s global standard ISO 20022 was collaboratively created by a consortium of six standards bodies also including the International Securities Association for Institutional Trade Communication and the Fix Protocol. The open standard is being designed so that when it is implemented in the coming years it will help members more accurately and efficiently communicate with each other, regardless of network or any number of advances in technology. To date, over 11,000 institutions use Swift’s existing services. Then came blockchain and other implementations of so-called distributed ledgers with the potential to streamline a wide range of work flows by giving counterparties an immutable, auditable, shared account of transactions without the need of a third party. Companies like distributed ledger startup Ripple and others have set the global financial messaging platform square in their sites as the ultimate middleman to be cut out of the loop. But this is not Swift’s first time facing the potential benefits, and threats, of a new technology. Swift’s global head of banking, Harry Newman, is also the sponsor of both his firm’s current blockchain applications. Having run a series of tests on two very different blockchain use cases, he’s come to the conclusion that there’s nothing to fear from blockchain. But that’s not because blockchain is harmless. Instead, Newman argues that blockchain is only as potentially disruptive as any other technology that might also help him better serve his members. To discover if blockchain should be adopted into the payments transaction firm’s services Newman established a blockchain lab in both the US and Europe. Currently, a team of about 10 employees from Swift’s standards team, securities experts, architects, developers and more are working on two active proofs of concept (POCs). The first is a standing settlement instructions blockchain that could one day help banks improve the way they route messages to each other. But it’s the second trial that has been making rapid progress over the past few weeks. Last month Swift unveiled an implementation of the ISO 20022 standard on a blockchain built using the Eris/Tendermint consensus engine. The POC is designed to power smart contracts written in Solidity, a high-level programming language created for the ethereum blockchain. In charge of the project is Damien Vanderveken, head of research and development at, SWIFTLab and a 12-year veteran of the company. The ISO 20022 blockchain POC was designed to accomplish two main objectives, according to Vanderveken. First, he “wanted to assess how much of the existing standards could be used on a blockchain,” he said – including whether transaction data could be stored directly on the distributed ledger and how self-executing orders or smart contracts might be implemented. But he also wanted to build a real-world use case to take to Swift’s member banks to demonstrate how a distributed ledger might help them better serve their clients. Specifically, they built the complete lifecycle of a short-term, fixed-rate corporate bond into the open-source Eris technology. To accomplish that, Vanderveken and Newman determined three main demands on the technology that would need to be implemented. Leading up to the selection of the Eris platform, the Swift team had anticipated that the underlying technology would need to provide a permissioned blockchain solution that could only be viewed by relevant counterparties and regulators, be capable of supporting smart contracts, and employ a faster consensus algorithm than bitcoin’s proof-of-work. The reason for that demand is that bitcoin’s blockchain is capable of transacting about 600,000 transactions per day, whereas Swift sends on average about 26 million messages during the same period. In addition to meeting the technical demands of the projects, Swift also selected the Eris technology – which will be rebranded to match the company’s new name, Monax, in the first quarter of next year – because the building blocks of its products are open-sourced. Apparently, all Swift’s blockchain team had to do to begin work was scroll down to the the bottom of the Monax website and download the software for their operating system. From there, the team of 10 multidisciplinary employees set about analyzing their own ISO 20022 business model to figure out where blockchain might be of assistance. 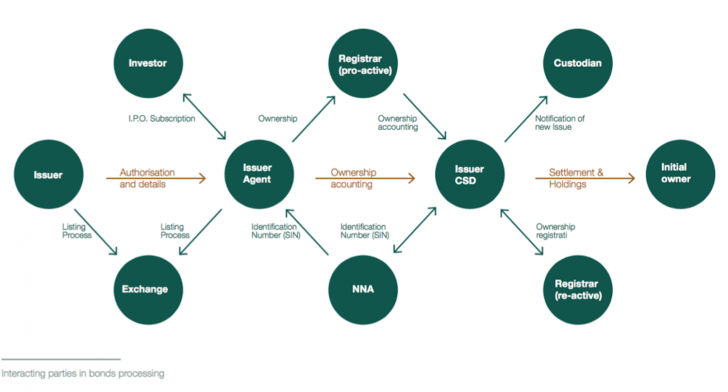 The breadth of ISO 20022’s applicability, which covers banks, central securities depositories (CSDs) and High-Value Payments (HVP) services makes it a ripe source for transaction data. The standard’s layered architecture consists of coded business concepts “independent of any automation”, according to a white paper published on the POC in September. “This then, seems a good place to look for content that can be shared and re-used” via a distributed ledger. After settling on a service that attempts to automate aspects of the life-cycle of a bond, Vanderveken’s team consulted sporadically with Monax technologists, regarding certain implementation questions, but otherwise built the app in-house. Speaking with CoinDesk at a Wall Street Blockchain Alliance event last month, Monax co-founder and COO Preston Byrne confirmed his firm had answered basic questions from Swift’s development team, but said the project was otherwise created entirely independent of his company. Byrne added that he believes his company’s technology is best suited to help prove the value of automating messages for which Swift currently serves as a middleman. But before those banks ever get to experience a Swift blockchain application, a few obstacles must be overcome. As Swift’s global head of banking, Harry Newman’s main focus is what’s called the Global Payment Innovation (GPI) initiative, a rolling program of technology upgrades slated to go live over the coming years. In its earliest incarnation, the GPI is slated to employ a series of improvements consisting of cloud computing upgrades and increased API accessibility. But based on the success of these blockchain POCs, and potentially others in the future, the GPI could someday include streamlined, transparent services built on a distributed ledger. In April, Swift co-published a report listing eight “critical factors” that need to be addressed prior to adoption of distributed ledger tech, including improved governance when things go wrong, compliance with regulatory requirements, and scalabilty. In conversation with CoinDesk, Newman condensed the obstacles into two factors: scalability and maturity of the technology. Specific to the ISO 20022 blockchain POC, Swift concluded in the white paper that “much more” work is required before full implementation, even if there is “real value to implementers”. Even as work continues on a potential blockchain implementation of IOS 20022, the standard itself continues to garner mainstream adoption. In September, at Swift’s annual scalability conference, the organization announced that over 20 financial market infrastructure providers had endorsed the roll-out of the industry-wide standards framework, including the Payments Market Practice Group, the Securities Market Practice Group, the Hong Kong Stock Exchange and multiple European CSDs and Central Banks. Vanderveken says the blockchain POC is being designed to “better articulate” to those clients and others the value that DLT can provide. 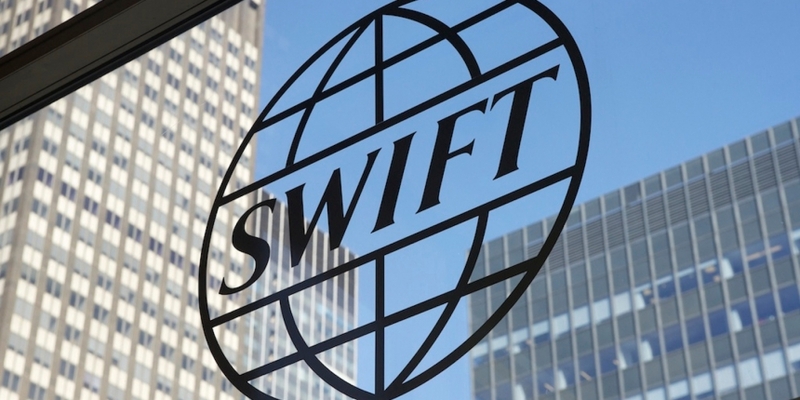 “We are seeking to prepare for a future Swift DLT platform,” he said. Newman positions the increasing role blockchain is finding for itself in Swift experiments alongside any number of technologies that were once touted to end banking as we know it. Not the least of which are Internet protocol networks that actually ended up proving helpful to the payments message platform.